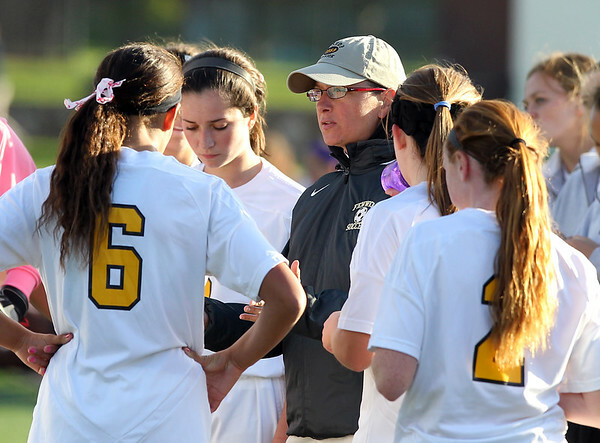 Bishop Fenwick head girls soccer coach Karen Guillemette recently won her 100th career game as head coach of the Crusaders. DAVID LE/Staff photo. 10/20/14.